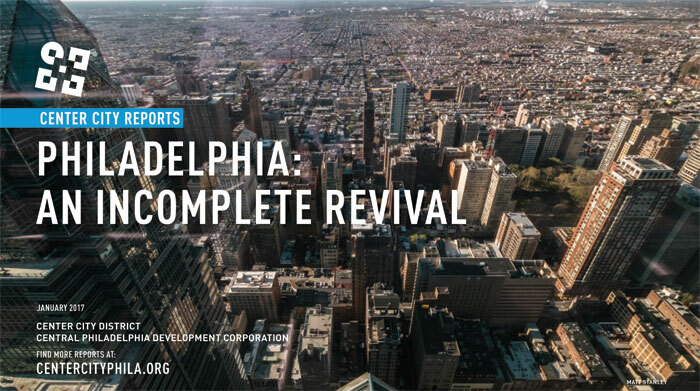 The Center City District (CCD) and Central Philadelphia Development Corporation (CPDC) have released Center City Reports- Philadelphia: An Incomplete Revival, highlighting the direct relationship between Philadelphia’s antiquated tax policy, slow job growth and high poverty rate. To download the full report, Click Here [PDF 2.5 MB]. For a full selection of Center City District reports, visit CenterCityPhila.org/about/Publications.php.